Did you know that orthodontics can do far more than give you a more attractive smile? Straighter teeth also tend to be healthier teeth because they are easier to clean and put less stress on supporting structures. 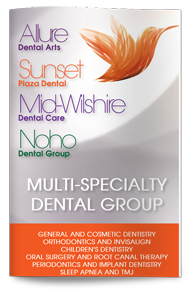 Our cosmetic dentist in West Hollywood may recommend orthodontic treatment for those with uneven, crowded or gapped teeth or for an abnormal bite. Jaw pain, neck pain, headaches and other chronic pain conditions can stem from TMJ disorders, which are frequently linked with a maloccluded bite. Overbites, underbites and crossbites place excessive stress on your jaw joints and your teeth. Correcting these bite problems can help you achieve better dental and overall health. When teeth are uneven, crowded or gapped, they can be more difficult to keep clean. Tightly spaced teeth may be hard to floss, and plaque can accumulate in hard-to-reach areas. 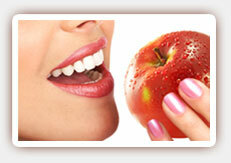 Plaque can irritate the gum tissue, leading to the development of gum disease. Straightening your teeth can make them easier to maintain, which can reduce your risk of developing gum disease. Misaligned and maloccluded teeth can lead to premature wear and tear. Open bites, deep bites and other problems can deteriorate your teeth or increase your risk for chips and fractures. Your orthodontic options may include traditional braces or Invisalign, clear plastic aligners. Our West Hollywood Invisalign provider can help you explore your options and determine the treatment that is right for you. Give us a call today to learn more or to schedule your appointment.